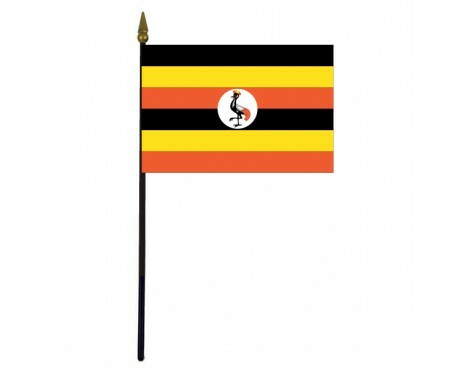 Uganda Stick Flag - 4x6"
The flag of Uganda was adopted as soon as the nation gained its independence from the British Empire in the middle of the 20th century. Like many African flags, it mixes the colors that represent Africa as a whole with a symbol of the nation to create a unique Ugandan flag that embodies the nation and its people. The flag of Uganda was adopted on 9 October 1962, the date that Uganda became independent from the United Kingdom. It consists of six equal horizontal bands of black (top), yellow, red, black, yellow, and red; a white disc is superimposed at the centre and depicts the national symbol, a Grey Crowned Crane, facing the hoist side. The three colors are representative of African peoples (black), Africa's sunshine (yellow), and African brotherhood (red being the color of blood, through which all Africans are connected). The Grey Crowned Crane is fabled for its gentle nature and was also the military badge of Ugandan soldiers during British rule. The flag was designed by the Ugandan Minister of Justice, Mr. Grace Ibingira. Uganda flags feature six horizontal bands of equal size. The bands are black, yellow, and red. 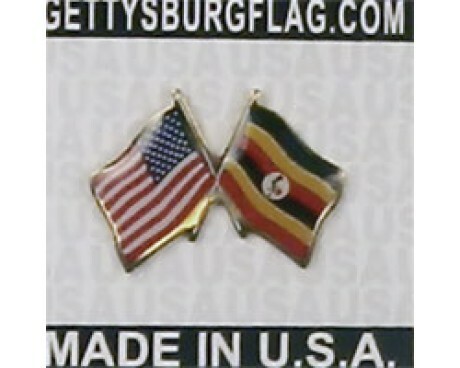 The black bands represent the people of Africa, while the yellow bands represent the sun that shines brightly over the country and the red stripes represent the bond of blood that connects all of the African people. 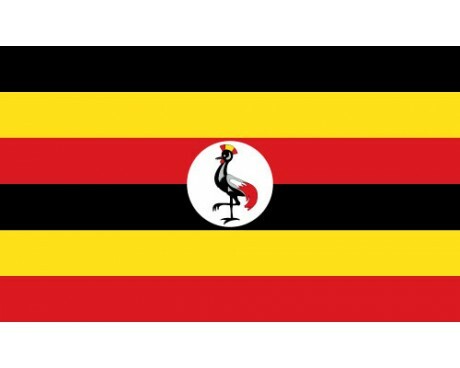 The center of the flag displays a gray crowned crane, which has been a symbol of Uganda since the colonial period. The crane is raising its leg in order to symbolize the continuing progress of the nation and its people. The first Ugandan flag was designed to represent it during its time as a British colony. It was a British blue ensign with the Union Jack displayed in the canton and a gray crowned crane displayed on the fly. The kingdoms that made up the new colony each had their own symbols that predated the flag, but the British Empire chose to use a new flag with a neutral symbol in order to avoid any hint of favoritism towards one of the kingdoms over another. The flag was formally adopted for use in 1914, and it fell out of use in 1962 when the nation gained its independence. There have been two Ugandan flags since Uganda left the British Empire. The first of the new Uganda flags featured a central band of blue between two thin yellow bands with thicker bands of green along the end of the hoist and fly. The blue band displayed a yellow crane in profile. It was designed by the first political party to rule in Uganda, and it fell out of use after less than a year when that party failed to keep power in the nation's early elections. 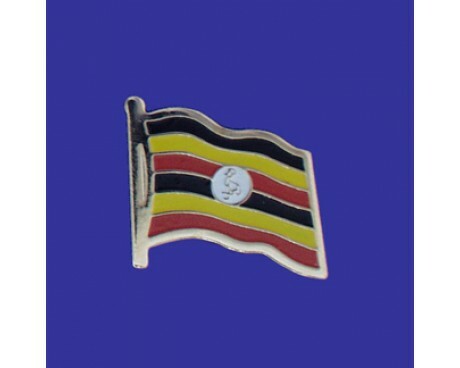 The winning political party adopted a new flag of Uganda that was derived from their own colors and designed by the country's Minister of Justice, Grace Ibingira. It was adopted on October 9, 1962, and has been used ever since.